Outdoor defibrillator stations in community hubs could be the difference between life and death. These stations make defibrillators available to the public 24 hours a day, 7 days a week. 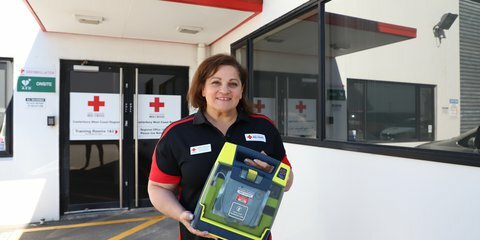 An outdoor defibrillator station at Redwood Library, Christchurch, was funded by the community. Community AEDs are installed in an outdoor secured cabinet with secured access. They are registered with 111, who ensure the AED is able to be used when needed. When 111 is called, the operator can alert the caller that there is an AED located nearby. Cabinets are robust, temperature controlled to prevent pads freezing and have LED lighting. AEDs are placed in areas where members of the community gather such as around libraries, schools, shops and sports grounds. Providing 24/7 AED access in public places increases the chances of survival for people who have heart-related emergencies. For every minute defibrillation is delayed, the chances of survival drops by around 10%. We support community AED programmes and our goal is to increase their availability throughout the country. Below is our guide to help communities create a HeartSafe environment. AED programmes are most successful when the community is involved. 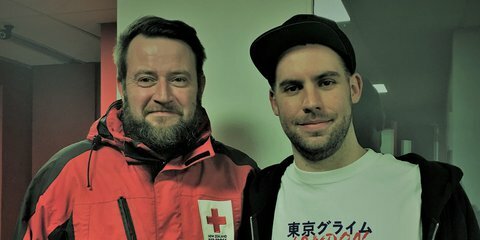 Engage other groups to take part including your local Red Cross branch. Local groups who may benefit from having an AED could include your local sports grounds, hospital transport shuttle, library or community centre. 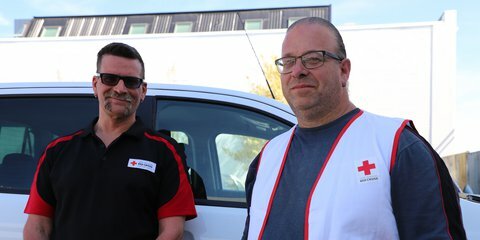 Contact your local Red Cross service centre to arrange a presentation for your group. Together with local businesses and other community groups identify a suitable community location to place your AED. Sheltered and shaded sites are best where the AED station is highly visible. Consider access to a power supply. Organise joint fundraising activities with schools and other community groups such as sausage sizzles or cake stalls. Apply for community grants and sell space for a sponsor’s logo on an AED station sign. Arrange delivery and training. This may include a presentation from Red Cross. You can also involve your local newspaper, if they want to report on the story. In recent years AEDs have become easier to use with no buttons to push, and easy to follow step by step instructions. Even first-time users can successfully use these fully automatic defibrillators. The Powerheart G5 AED is particularly well suited for community use as it provides real-time CPR feedback and user-paced instructions. If you don't feel confident about using an AED, check out our AED training pages to upskill for free.